There is no denying that living well means attending to every area of our lives, especially the ones that are not easy. Working with Nature’s Apothecary and The Green Healers Apprentice are self-development programs designed to help you unlock your own health potential. They are not a self-treatment programs or self-therapy programs. They are about possibilities, not pathologies. There are nine holistic health therapies and dozens of tactics in the Family Herbalist’s therapeutic repertoire. These therapies can help reverse obesity, immune system dysfunction, chronic pain, allergies, and many other disorders. That’s how powerful these therapies truly are. Why Aren’t the Holistic Health Therapies Promoted in Mainstream Media? “These are perhaps the most potent healing therapies for human beings. And yet you don’t see them very heavily promoted. That’s confusing to some people; they wonder, ‘if these are good for people and if these create health benefits, then why aren’t they more heavily promoted? Why aren’t we hearing about them?’ And the answer is, of course, because they are free… because promotion of a product requires that there be an economic incentive from the manufacturer or reseller’s point of view. No one is going to go and sell, for instance, sunshine. Why not? Because you can get it for free. So who’s going to run an ad touting the benefits of sunshine? No one, of course. You can’t bottle it up, you can’t put it into a capsule, and you certainly cannot apply for a patent on sunlight. It’s freely available to everyone, so you will never hear it heavily promoted. That also means that you’re unlikely to hear about its benefits in the press. In fact, you’re more likely than ever to hear that sunlight is bad for you, because there is an economic incentive in that message going back to the profits of sunscreen manufacturers, who largely sponsor dermatology schools and dermatology publications. Therein you see the economic incentive to actually keep people ignorant of these healing strategies.” – Mike Adams author of The Five Habits of Health Transformation. A well defined holistic health paradigm is the foundation of becoming a family herbalist and holistic health coach. Without your own paradigm of what health and wellness is, who’s responsible for what, and how best to achieve it, the therapies and tactics are meaningless. Putting it another way: your paradigm becomes your filter through which you sift all the confusing health information available out there. Take better care of yourself and your family, naturally. 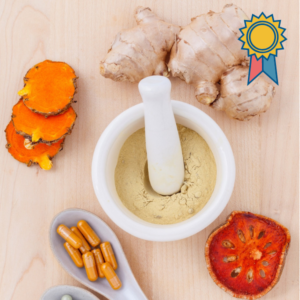 Enroll in the herbal medicine making e-course. In no specific order… the uniqueness of the individual will determine the order. To a large extent this is the ‘mind game’ part of holistic health. Your thoughts and beliefs about yourself and your life situation influences your pulse, the chemical makeup of your blood, your digestion, and all other bodily functions. Your very well-being. And the same applies to your clients. If you have done so yet, read The Heart of a Coach to get a better understanding of how you’ll breach this topic with clients. Most of us know something about stress, this may even include knowing that not all stress is bad for you. Meaning that stress plays an important part in your body. Chronic stress however is a genuine killer. It impairs healthy body function in so many ways that it is probably even worse for you than habit forming drugs. Recent research showed that nearly 90% of all doctor visits are in some way stress related. Once you have a thorough understanding of stress there are several easy tactics to actually reduce the levels of chronic stress in your body and enhance your lifespan and well-being. Proper nutrition is the crown jewel of all health. You know the cliché that you are what you eat. You’ll soon discover that it is only a small part of the truth. To employ dietary wellness successfully you need to cut through the “diet information overload” and come up with a balanced diet that will be optimum for your body. This is perhaps just as daunting as it sounds. Rest assured, developing an optimum nutrition plan for yourself and your family is simple if you break it down into 9 key tactics and master each tactic on its own. There are more than 600 muscles in your body. The rule is “if you don’t use them, you loose them”. And with that you lose your health and vitality. Proper movement when combined with the other holistic health therapies is the great multiplier. It will increase their effect more than threefold. And you need not spend more than 10 or 20 minutes a day. The best measure of life expectancy is your breathing capacity. Scientists tell us that the average person reaches peak respiratory function and lung capacity in their mid 20’s. Then they begin to lose respiratory capacity: between 10% and 27% for every decade of life! That makes better breathing a key holistic health therapy. The popular advice that you will develop skin cancer when you expose your skin to natural sunlight without protection will slowly but surely make your life miserable if you follow it. Learning why, when and how to expose your body to the healing rays of the sun is key if you want to achieve high-level well-being. Your body needs sleep (rest) just as much as it needs nutrition and activity. It is as necessary for survival as air, water and food. Sadly a large majority of people do not know how to achieve deep, sound, rejuvenating, sleep night after night. This is probably the least understood of the holistic health therapies. It is life-giving and life-changing. And it need not be longer than 3 days. In fact it can even be as short as 12 hours if done intelligently and properly. You omit this therapy at your own peril. 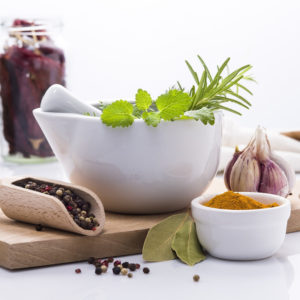 Medicinal and culinary plants have a natural affinity with the human organism, for all living things are composed of related organic compounds. Even though you might have a preference for a certain plant based therapy you cannot discount the others. Your doorway into the fascinating world of the family herbalist. Learn how to use herbs and natural medicine to treat everyday ailments and to live more healthy and naturally. It is common for the aspiring holistic health practitioner to adopt a kind of missionary zeal about the virtues of their chosen therapeutic tool. With experience comes the realization that no single strategy, tactic or therapy is effective, by itself, for every health problem, nor for every individual, nor in every circumstance. While herbal remedies work slowly towards easing the pain and stiffness of arthritis, an aromatherapy massage or pressure point therapy can bring immediate relief. As the herbs (which are usually combined with dietary reform, salt baths and gentle exercise) begin to take effect, the frequency of massage treatments can be gradually reduced. Eventually, pain and stiffness can be greatly relieved by means of a sensible diet and lifestyle (exercise and stress relief), perhaps supported by an occasional essential oil bath, massage or pressure point therapy. * The information provided is for educational purposes only. Used as a reference; not as a means of diagnosis and/or treatment, it can act as a guide, but only with the cooperation and advise of trained professionals. 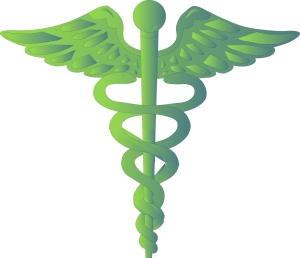 It is not within the scope of any collection of information to perform the medical duties of the health care profession. * Always consult with your physician or other qualified healthcare provider before embarking on a new wellness program. If you are pregnant or lactating, taking medications, have a health condition or are planning a medical procedure, consult your health professional before beginning this program. If you have any specific questions about these matters you should consult your doctor or other healthcare provider. It makes perfect sense. Our health issues build up over time, and it will take time and a multifaceted approach to bring about a cure or relief to our conditions. Steady application of these principles will bring a steady improvement in ones health.